Application period: from 5 to 31 of January. ①Reside or work in Mie. 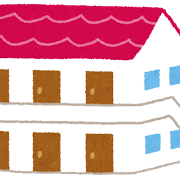 ②Be in need of housing. ③Are up to date in your tax payments. ④If you have been living in public housing, you do not have any outstanding bills or payments (rent, parking fee etc.). ⑤Plan to live with family members (including boyfriend, girlfriend). ⑥Have an income within the required bracket to live in public housing. ⑦Have two guarantors.